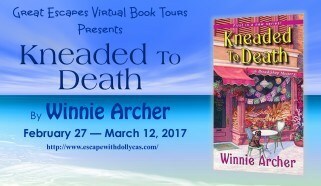 I am sucker for a new cozy mystery series. It was nice to get to know some new characters from a new town. I love the whole bread theme and could almost smell it baking. This was a good start to a new series. 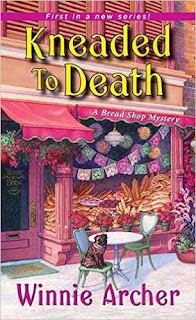 Ivy just moved back to Santa Sofia and what happens - she finds a dead woman. I liked how the author kept me guessing until the end of the book. This was a fun easy read for me. I am looking forward to the next book in this series to see what happens with the characters next. I love the smell of baking bread too. Would love to get in on this series. Bread baking smells divine. Sounds like a awesome series! 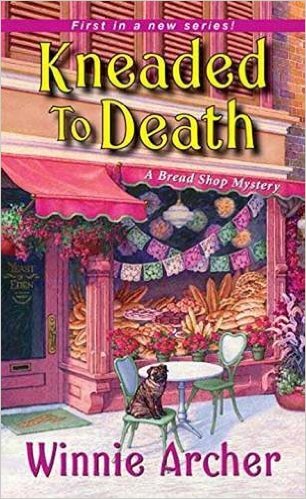 "Kneaded to Death" sounds like the start to a new series. Can't wait to read.